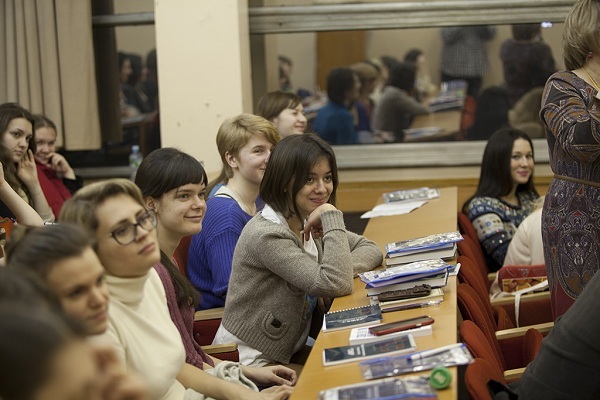 SEFER, the Moscow Center for University Teaching of Jewish Civilization, is the central umbrella organization for Jewish Studies scholars, researchers, students and academic programs. Utilizing technology, SEFER is implementing this new project that provides top-quality video-lectures and interactive webinars on Jewish Studies, given by Jewish Studies lecturers from top universities in Israel and the FSU. Those interested in participating will have an option of four or five courses to choose from each semester. Courses on a range of topics within the field of Jewish Studies, such as Jewish History in Ancient Times, Jewish Thought, Israeli Politics, Yiddish Culture and others will be available. Lectures will also be uploaded to the SEFER website and viewers will be able to ask questions and make comments to which the lecturers will respond, also on the SEFER website. Also being offered as part of this new project are interactive webinars, using Adobe Connect technology to facilitate discussion between instructors and students. Webinars on a variety of topics, such as Jewish Mysticism, Contemporary Art in Israel, Biblical Archeology and the History of the State of Israel are just a few of the online seminars available via this SEFER project. Additionally, language training courses in Biblical Hebrew, Modern Hebrew and Yiddish will be given twice a week. The Pincus Fund for Jewish Education is excited to support this wide-impact project. Its ability to provide high-level academic Jewish Studies to a wide range of Russian-speaking students and post-graduates, both in the FSU and throughout the world utilizing technology, coupled with the opportunity to participate in classes given by some of the world’s best Jewish studies scholars, makes the Fund extremely proud to count this among the programs we support.